When a 30-foot stringybark fell on Andrew Bell’s canvas tent, he knew it was time to find a new place to live. 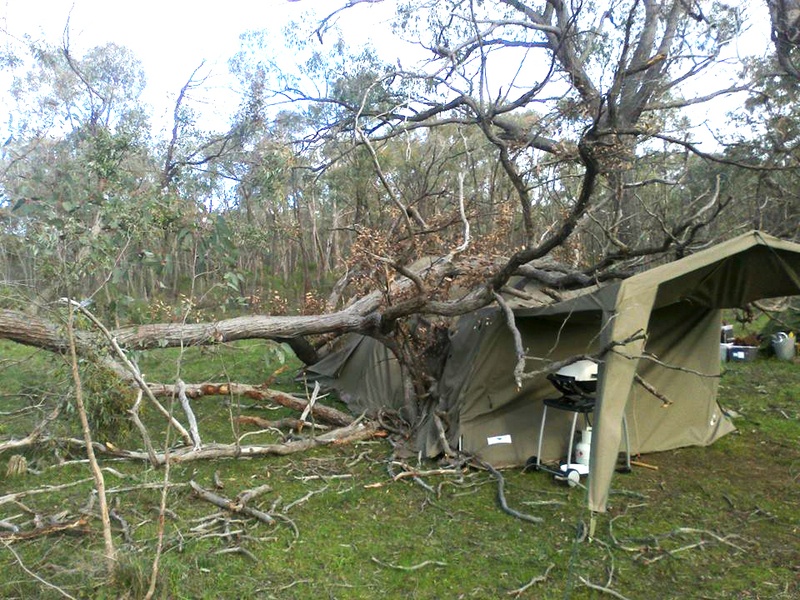 Luckily he wasn’t home at the time, otherwise the tree would have broken more than just tent poles. The outdoor education student spent most of his first year camped on a regenerated bush block by the Bendigo National Park. While all outdoor ed students are at-home with camping, most don’t actually call a tent home. The tiny is exquisite. A little bit hipster, a little bit scandi, a whole lotta Belly and Ali. 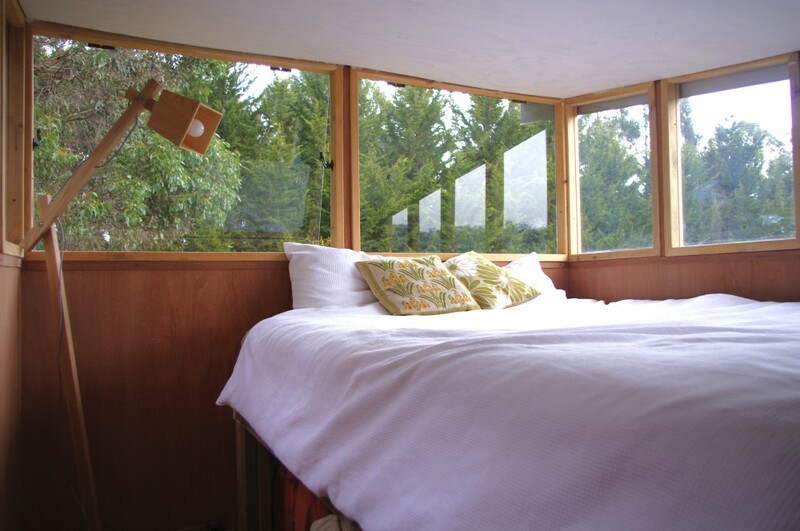 Think recycled ply and timber, windows salvaged from Belly’s parents’ reno, a half wine barrel as a shower recess, and a beautiful garden window that’s Ali’s pride and joy. The house is an extension of this couple’s ethos in life. Belly’s uni course is allowing him to live out his ideals – of making nature his classroom and his workspace, of helping educate young people to experience and tread lightly on the world. The tiny house is a big part of that. 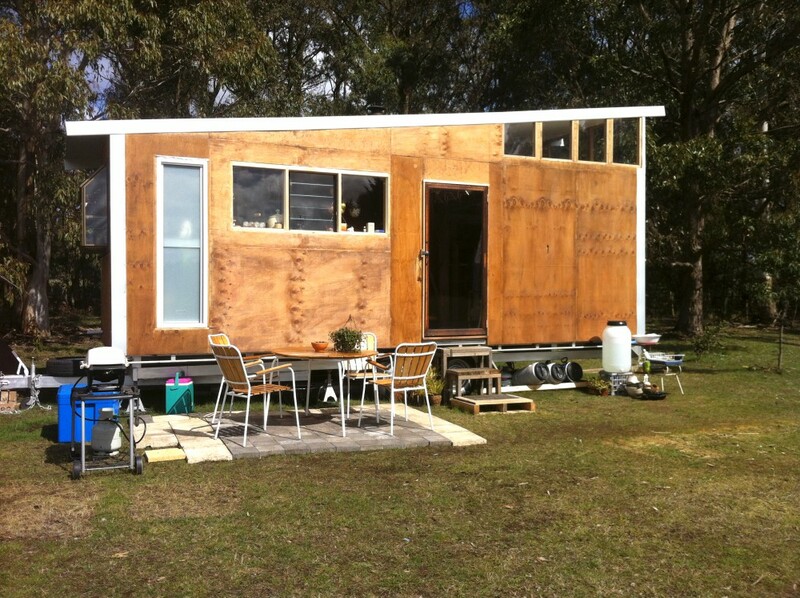 The 2.4-metre wide by 7.2-metre long by 3.3-metre high house was built in eight weeks, using mostly salvaged and recycled materials, just under $20,000 and a lot of help from family and friends. 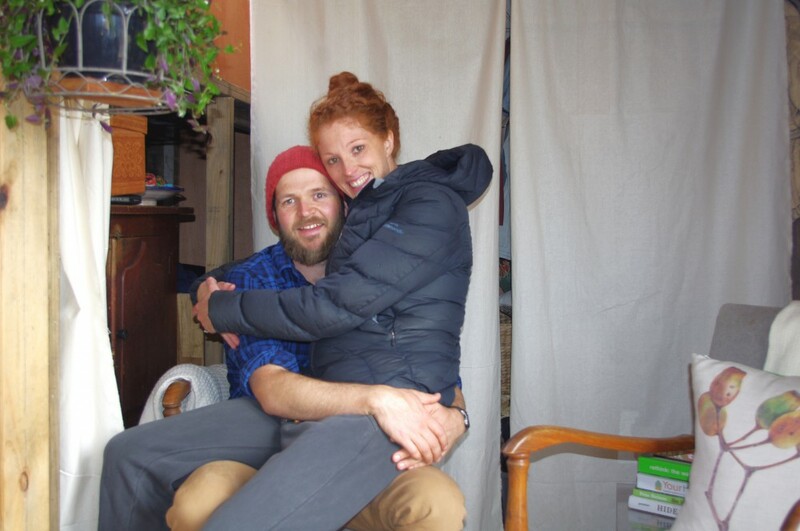 They’re living close to the elements, off grid, in a paddock they rent for $25 a week. They’re waking to kangaroos and kookaburras. They’re waking to the sunrise. “We feel the day,” Belly says. 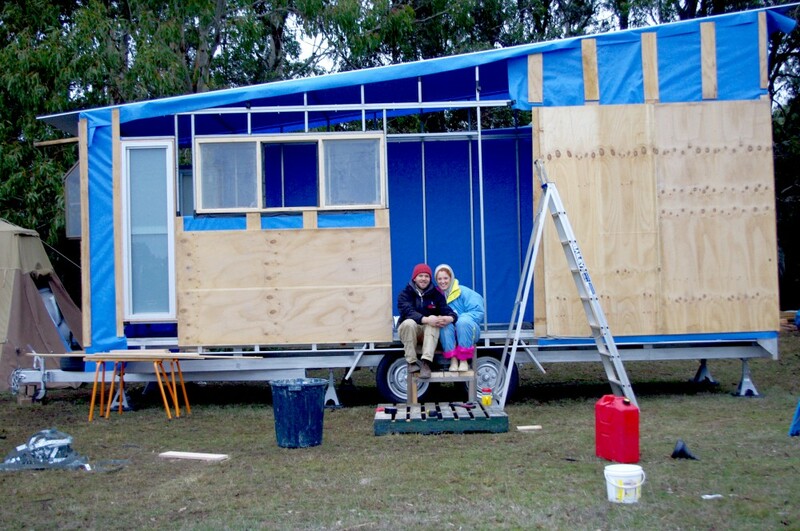 “We are just a few sheets of ply away from the elements and the natural world”. The second-hand wood stove has kept them cosy through the last of the season’s chill. And come summer, if it gets too hot, the house can be moved into the shade. 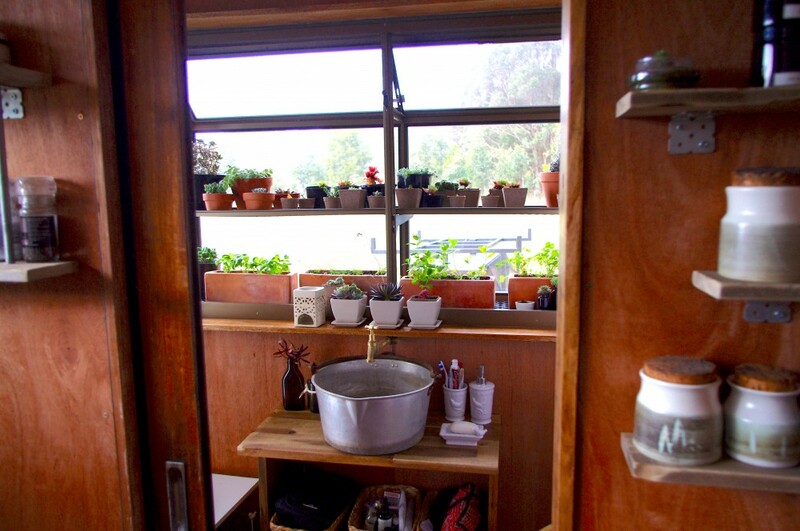 It’s built on a re-purposed 24-foot caravan trailer. 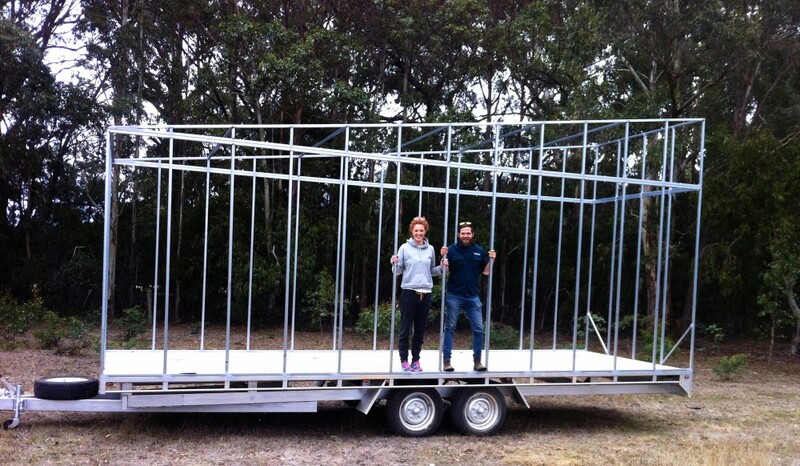 “We knew we wanted it be on a trailer, because being portable, you get past the building regulations,” Belly says. Also, outdoor education graduates are notorious nomads. They work in some of the world’s most beautiful places, and Belly agrees he and Ali could end up anywhere. But wherever that is, their tiny house will travel with them. Find out about our outdoor education course here. 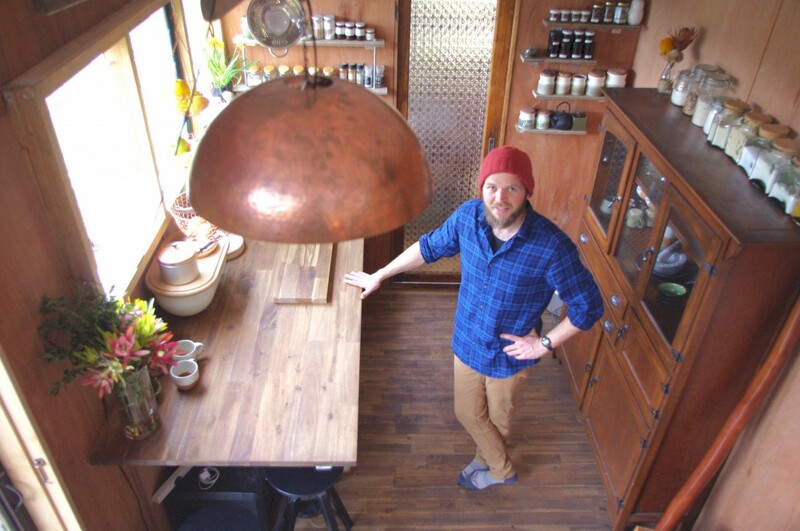 Your tiny house is amazing!! I have the beginnings of plans to build something similar in the next few years. Love the idea of a caravan trailer, I hadn’t heard of that before. Do you mind if you ask where you got it from? And did you somehow convert it yourself? Any suggestions for what kind of trailers to look out for would be awesome! And one other question, do you happen to know the size restrictions for driving a tiny on the road? Cool tiny house. Thanks for sharing!